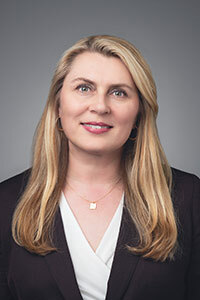 The Habit Restaurants Inc. has named former Jack in the Box CMO Iwona Alter its chief brand officer, the company said Monday. The marketing executive, who has 13 years of restaurant industry experience, starts Dec. 10. Alter fills a new role created at the Irvine, Calif.-based company. The company said chief brand officer is a broader role that incorporates duties of the chief marketing officer, a position that was previously held by Matt Hood. Hood left in March and is now the CEO of On the Border Mexican Grill and Cantina. In September, Alter exited San Diego-based Jack in the Box. The company didn’t officially announce her exit at the time. But news of her departure came about earlier this month as Jack in the Box National Franchisee Association called for the removal of CEO Leonard Comma. In a quarterly regulatory filing posted in May, Jack in the Box said the company "no longer needs her services." Alter had been with Jack in the Box since 2005; she was CMO during her last two years. Previously she held various marketing roles at Elmer’s Products, Shiseido Company Ltd., Johnson & Johnson and J. Walter Thompson.